Should you prepare for the GMAT or the New GRE now that MBAs accept both exams? This article will help answer some of your questions. In short though, many (but not all) French people can do better on the GRE than they can on the GMAT in a short amount of time. Update: September 23rd 2015. The New GRE scoring system has moved closer to that of the GMAT. In general, it's still eaiser to get a medium level GRE score, but to get a top score it generally takes about the same amount of time for most people. For French speakers, the GRE may still be slightly easier because many of the difficult words in English come from French, but the difference in difficulty is still small. 2) From my experience people do better on the math section on the New GRE than they do on math section of the GMAT. That is, if you would score in the 50th percentile on the GMAT you would probably score around the 60th on the GRE. Update September 2015: This is still true for GRE scores below the 70th percentile. Above that, it's about that same between the two tests. 3) To do well on the New GRE you will most likely need to have improve your vocabulary significantly. If you're good at memorizing vocabularly the GRE might be for you. 4) The New GRE gives you only 1 break that lasts 10 minutes in the middle of the exam. The GMAT gives you two breaks that are 8 minutes long (at least in Paris). 5) The New GRE is adaptive only between sections and not between questions. That is during the first verbal and math section you’ll receive easy, medium, and hard questions. During your second verbal or math section all of the questions that get will be easy, or medium, or hard depending on how well you did on the first section. 1) In order to do well on this exam you have to be able to read well and reason logically. Reading is important on both exams, but about two thirds of the GMAT verbal section comes down to being able to use logic and read well, while only about one third of the GRE verbal section really comes down to reading ability. 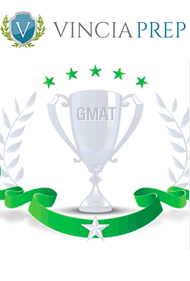 2) The GMAT has data sufficiency math problems which generally take people awhile to get used to. Also, as stated above, the math section on the GMAT is usually considered more difficult for most people. 3) The GMAT’s verbal section is about 1/3 grammar whereas grammar isn’t directly tested on the GRE. 4) The GMAT only has one writing section that is half an hour long whereas the GRE has two. Instead of the second writing section the GMAT has what is called the Integrated Reasoning (IR) section, but most schools don’t care too much about this new section. Update September 2015: Schools still don't care much about this section. The IR section started in June 2012 and schools will likely start paying more attention after June 2017.